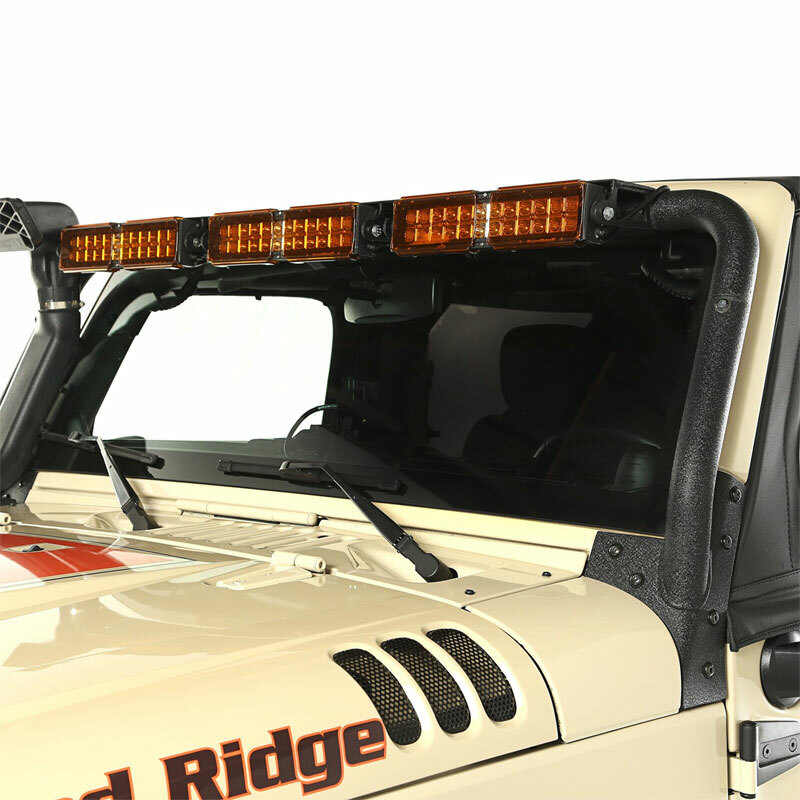 All New Rugged Ridge Windshield Tubular LED Light Bar for 2007-17 Jeep Wranglers. 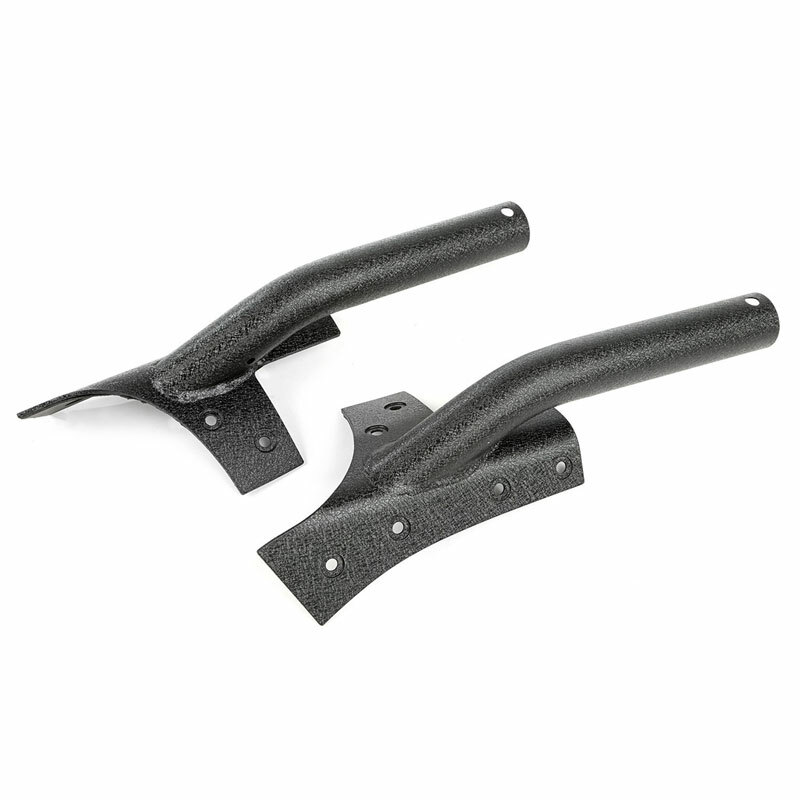 Designed to mount 3 of the 15209.11 LED lights. No drilling required for installation. 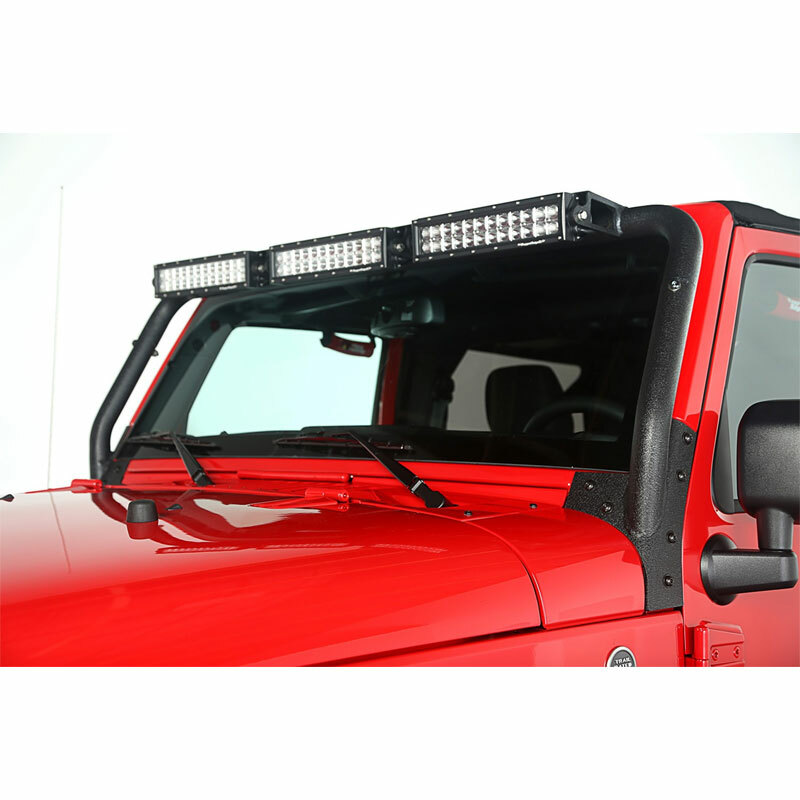 This windshield LED light bar is constructed from sturdy two-inch welded steel tubing and is secured to the vehicle using specially engineered A-pillar brackets that replace the OE windshield brackets. The contour hugging light bar frames the windshield, accommodating three Rugged Ridge 13.5-inch LED Light Bars with low profile tabs; providing flexibility in additional illumination on the trail for nighttime off-roading. 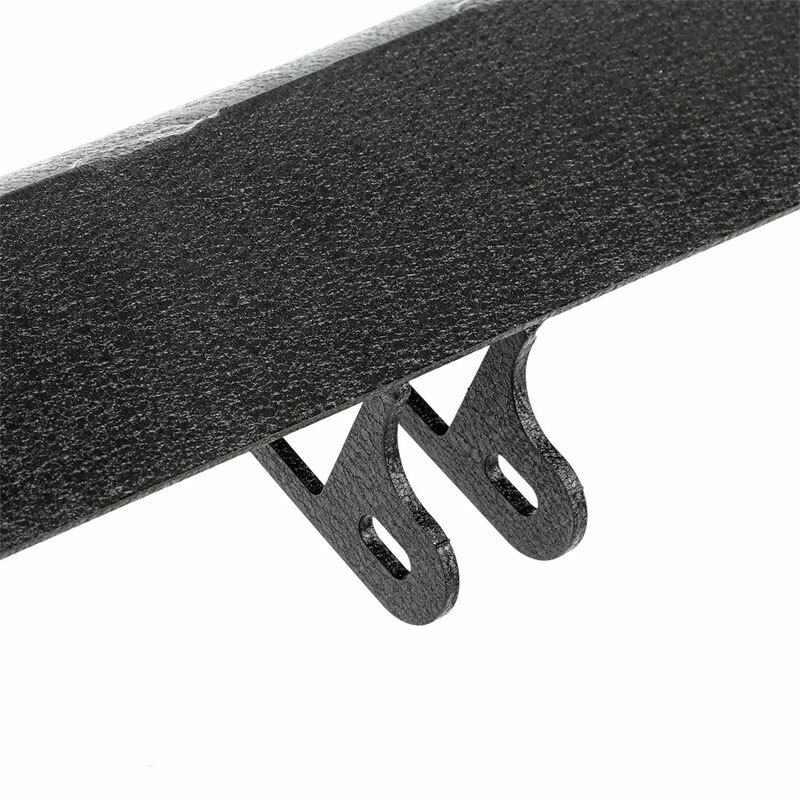 The light bar incorporates a special wind deflector to dramatically reduce whistling and buffeting of your soft top.